If you are planning on selling something online, chances are that you will need to use an e-commerce platform to do it. If you do not already know what an e-commerce platform is, have no fear – you probably use one most times you shop online! Ecommerce platforms incorporate the layout of your online ‘shop’, similar to store layouts in bricks and mortar businesses. So, while a supermarket may have a certain store layout in place to ensure it sells more of its products, an online retailer should ensure that it has an effective ecommerce platform in place to sell more products and make things easier for the owner. There are several reasons why Magento Commerce fulfills this goal with ease, and if you are looking to change your existing ecommerce platform to something else, give Magento a go! One big benefit of using Magento Commerce as your ecommerce platform is that it features a one page checkout interface, meaning that your visitors won’t have to jump from page to page trying to find information such as prices of products and other important details. In addition, users can directly compare two products together using Magento – other platforms necessitate moving from page to page, flicking back between them in order to compare the two. Magento Commerce also adds a level of customer interaction to your ecommerce interface that few other ecommerce platforms offer. For example, the Magento Commerce ecommerce platform increases your users’ trust in you and your products by allowing buyers of your products to rate and review those products they have bought and broadcast them to the world. Put simply, Magento Commerce is a very customer focused ecommerce platform. Not only is the platform easy for your customers to use (making them more likely to shop with you again on the basis of ease of use), but the platform also allows users to create wish lists of their favorite products and organize them so that they can come back to those potential purchases they were unsure about. In addition, the ecommerce platform allows store owners to easily manage the day to day running of their business with simple categories and products, newsletter signup features and auto generated sale documents. Magento Commerce gives owners the option of customizing their shops for search engine optimization (SEO) purposes. This is important in today’s online world – online retailers without a healthy flow of traffic from search engines will find it difficult to get off the ground! No matter what you are planning to sell online, Magento Commerce offers a number of solutions for those looking to make their fortune in the world of ecommerce. From those with an already-established ‘real world business’ to those just starting out with business basics, Magento Commerce has a number of features to make any fledgling or existing online retailer thrive. 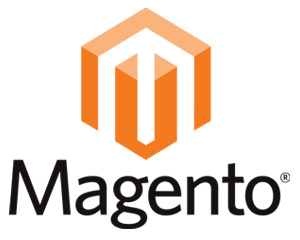 If you would like to use Magento for your online store or have any questions you need answering, get in touch with us today for a free no obligation quote. USP Websites has been providing cheap websites since 2006 that are affordable to companies of all sizes in the UK. © Copyright USP Websites. All Rights Reserved.